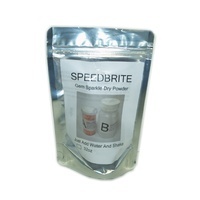 SpeedBrite is based in North Carolina USA and manufactures and distributes ionic jewelry cleaners and solutions. 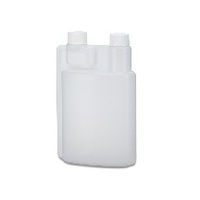 SpeedBrites are ionic cleaners that utilize an amazing ionic, not ultrasonic process for cleaning. 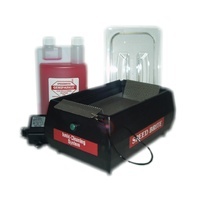 With a SpeedBrite cleaning machine, you can not only clean gold, but opals, pearls, emeralds, and all other soft or porous stones safely in one minute. 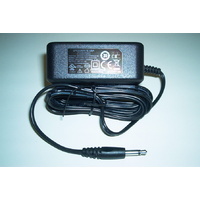 The SpeedBrite does not remove metal and does not use ammonia or acids. It also does not require heat. The Ionic system uses polishing agents and gentle soap cleansers to remove tarnish and dirt with a safe bubbling action. These bubbles are formed by the carefully controlled electrical current that passes through metals reducing surface tension of dirt and floating it and tarnish away - instantly. It restores metal lustre and stone brilliance. Ionic cleaners are a safe cleaner for emeralds, opals, pearls and is an especially good cleaner for diamonds, it really makes them sparkle. The reason it is so good for so many stones is that Gem Sparkle contains no acids or ammonia, it is also odourless. Using the same solution, you can clean gold, silver, gold-filled and costume jewellery. 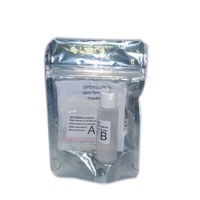 This solution, called Gem Sparkle, is diluted with water. Only a small amount is mixed with water, typically 1 part Gem Sparkle to 6 parts water. Once you have this set up you are ready to clean! If you are only cleaning one piece, all you do is to attach it via piece of stainless steel wire to the unit's crocodile clip.The crocodile clip is not stainless steel - so dipping it in the cleaning solution will eventually cause it to corrode. If you have several pieces to clean, you can do them all in one go by placing them in the stainless steel wire basket that now comes with the unit. Although you can fill the basket up with jewellery for best results each piece should not touch another. When you have everything ready, sit the item or basket in the solution you activate the unit by pressing a little red button on the side of the unit. Remove after whatever time period, rinse thoroughly and dry. That's basically it! The amount of time to keep an item in the solution depends on a few things. The main point being the type of metal, sterling silver, other silver and base metal takes the least amount of time to clean. An exact time is difficult to pinpoint as it depends on the amount of tarnish or dirt on the piece. The average time is approximately 10 seconds - yes - only 10 seconds. When it comes to sterling silver, you will get different results depending on the content of the silver. Some sterling silver will have nickel, etc...this can result in the "blackening" of a piece. Sort of "antiquing" without trying. You will also get this result if you leave it in the cleaner too long. If you find a sterling silver that does this after following the guidelines above, don't buy from that company again. Hopefully you will have a record of the source. It is known that sterling silver from some China based sources can fail this test as they sometimes use inferior quality metals. Gold items, whether solid, plated, rolled/filled or whatever takes longer. Again, exact time depends on tarnish, etc., the average being 20 seconds. The best way to approach all cleaning in the unit is to dip, rinse and check every 5 to 10 seconds and repeat as many times as necessary to get the best results. The worst thing to do is thinking that an item is so dirty, I'll leave it in for a minute or two - maybe even 3 minutes. This can result in damage through over exposure. Stick to seconds for each dip.